Sunday, April 14, 2019 at 2:00 p.m. sharp! 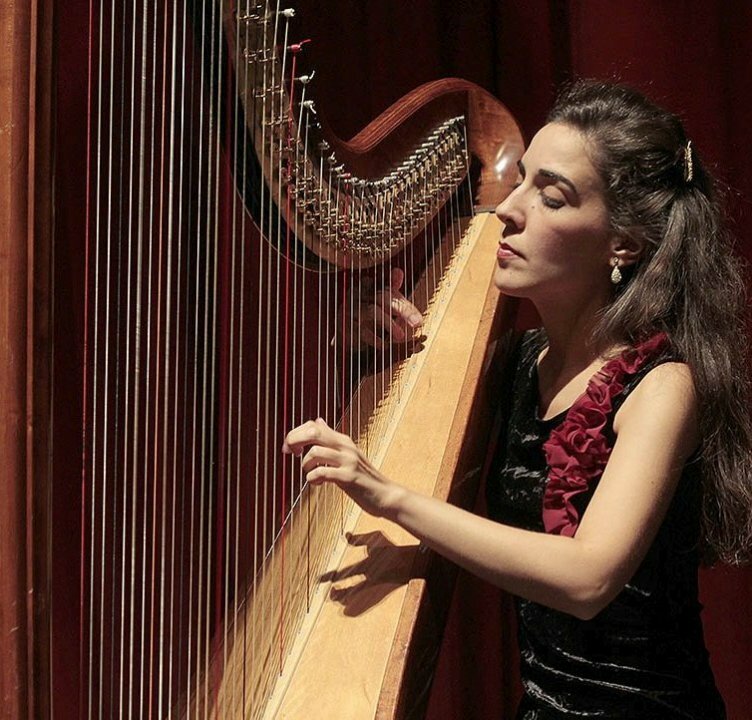 First-prize winner of the Torneo Internazionale di Musica in Rome, Italy, Cristina Montes Mateo is recognized throughout the world as one of the leading harpists of her generation. Cristina performs with leading orchestras under such noted Maestros as Bernard Haitink, Sir Colin Davis, Georges Prêtre, Pierre Boulez, and Daniel Barenboim. She has performed at the Berlin’s Philharmonie, London’s Royal Albert Hall, Zurich’s Tonhalle, Paris’s Théatre du Châtelet, and New York’s Carnegie Hall. Locally, besides unanimously winning the Beverly Hills National Auditions, Cristina also won LACMA’s Sundays Live! Auditions.